I love this time of year for dog-walking. It’s getting cooler but is still sunny, the leaves are turning, and the dogs seem to have an extra spring in their steps. Today was a perfect dog-walking kind of day. 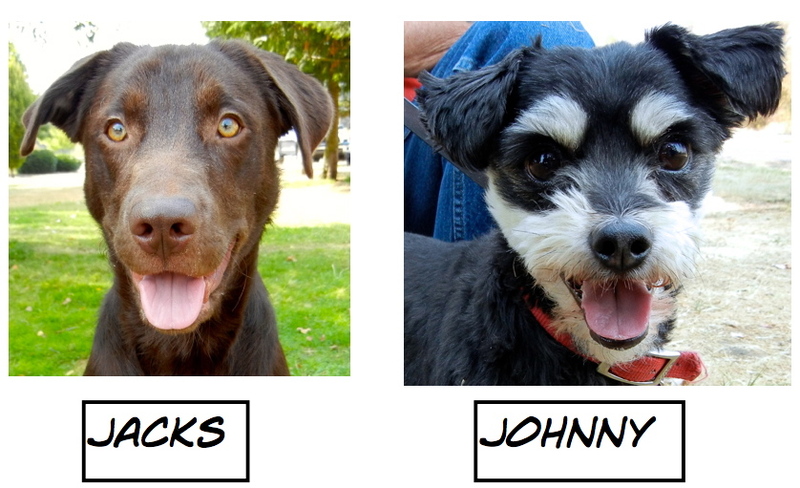 We had some great adoptions again during the past week. Many of them were Blog Dogs. 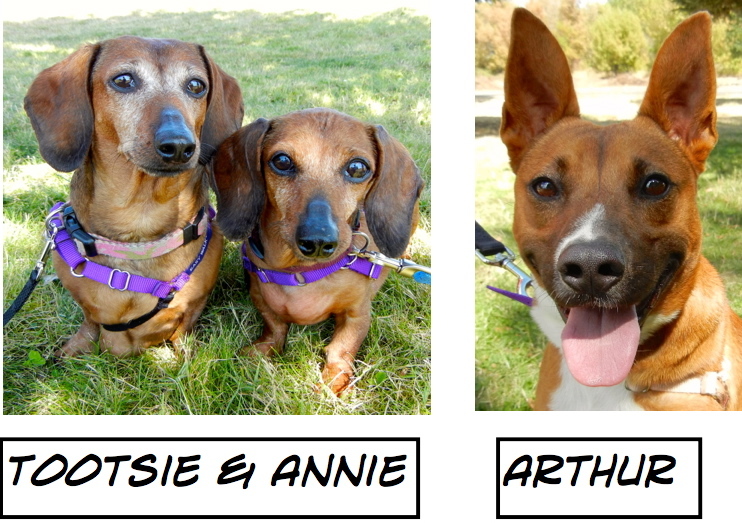 Staff and volunteers were thrilled that Tootsie and Annie finally found their new home together! It was good to be back in play group on Sunday. 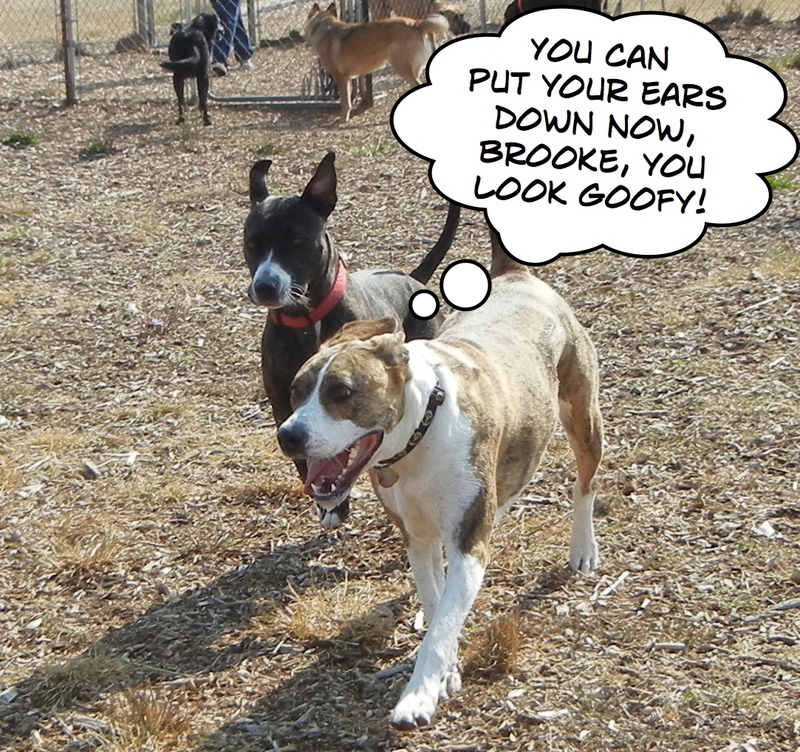 It was an active group and Brooke’s ears were quite the conversation piece! Nina played hard, then decided it was time for a rest. Arthur turned out to be right! He was adopted later that afternoon! I am a really good girl. Just ask Emelynn! When I arrived at WHS this afternoon, I decided to walk Nina first and asked Emelynn to pose with her. 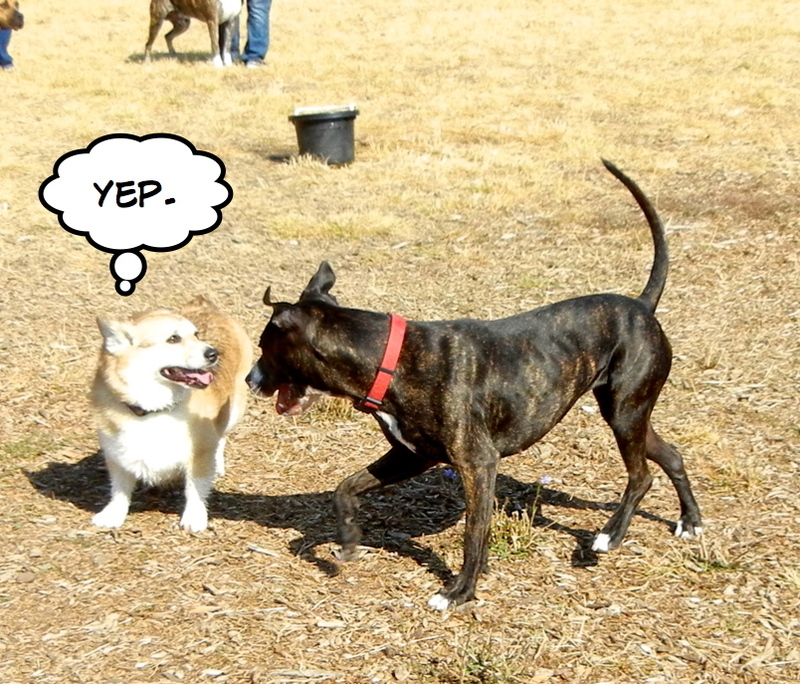 I had enjoyed watching Nina romp in play group on Sunday and wanted to get to know her better. 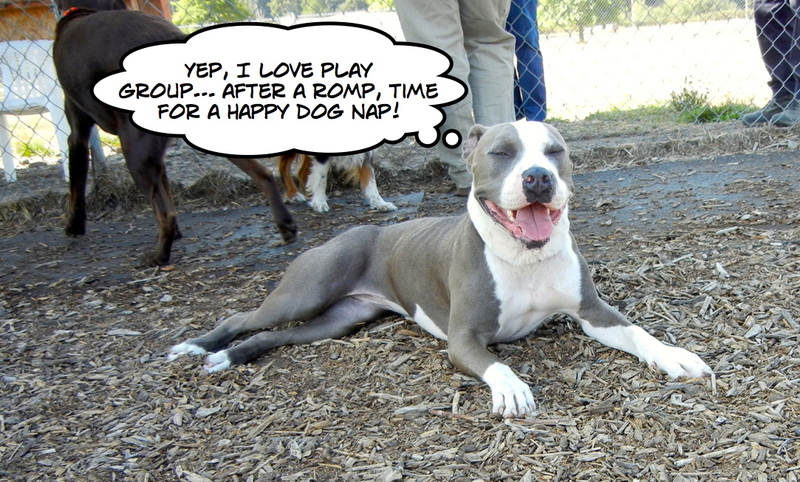 She got along great with the other dogs and enjoyed her time playing and felt comfortable enough to lounge in the shade to rest. 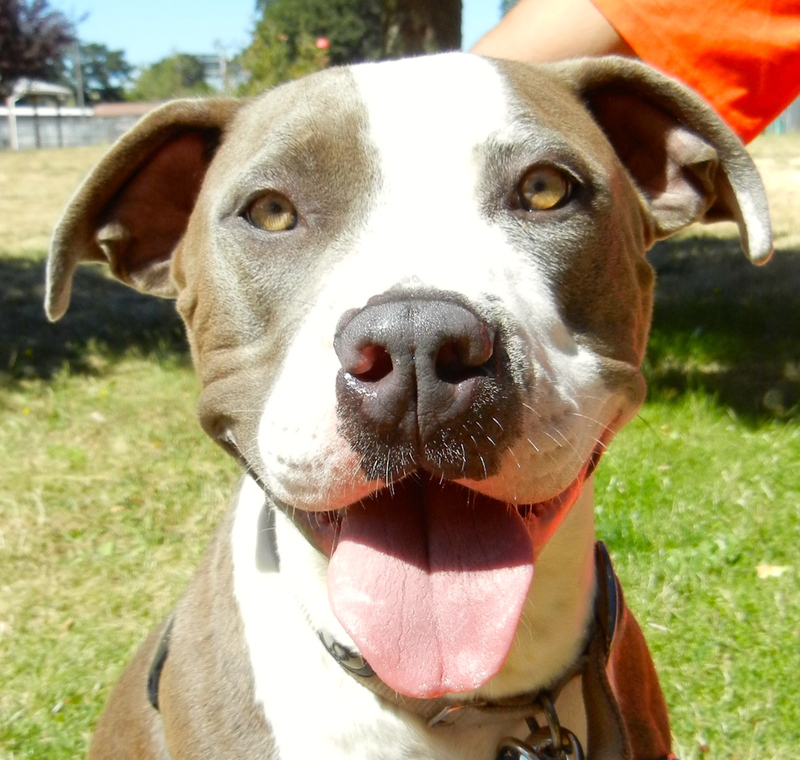 Nina is a Pit Bull Terrier mix who is two years old. 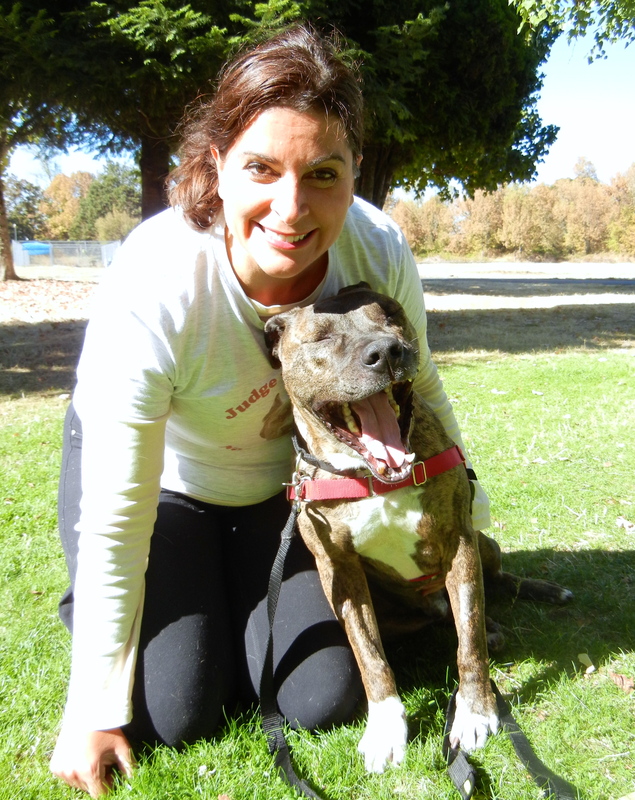 She has lots of energy and would love to be part of an active family. She took my hot dog bits politely and walks well on leash. She will be a terrific family dog. While I couldn’t get her to smile today, here she was a few days ago, showing what a beautiful dog she is. 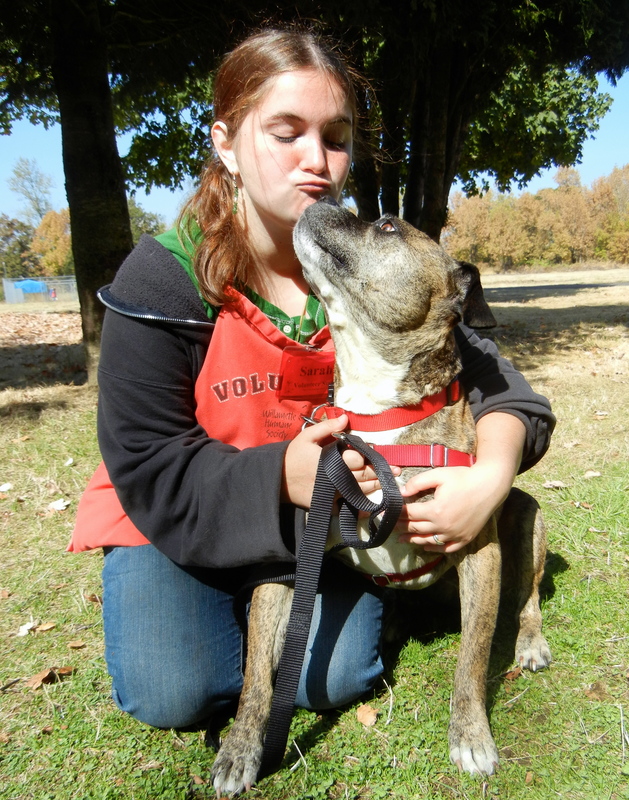 I may be a little older, but I’ll be a great companion! 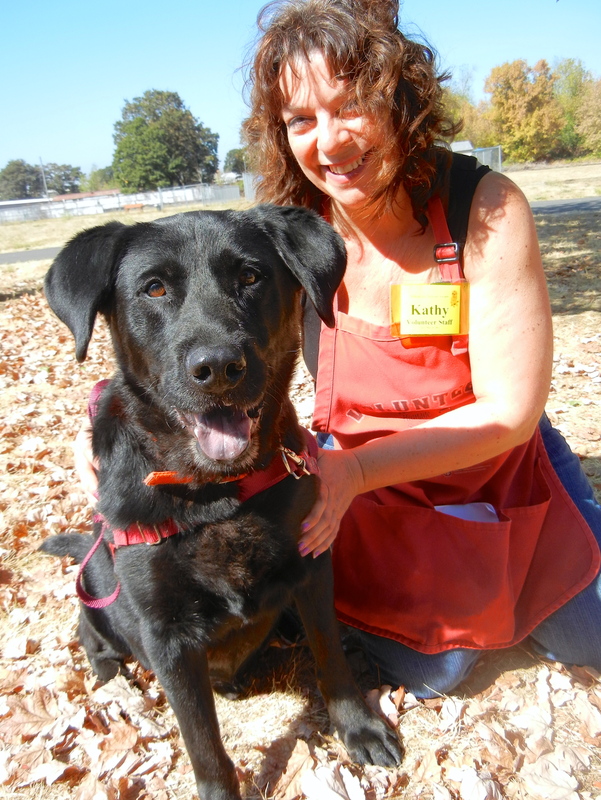 Kathy spent some time with new arrival Feisty, a nine-year-old Lab mix. 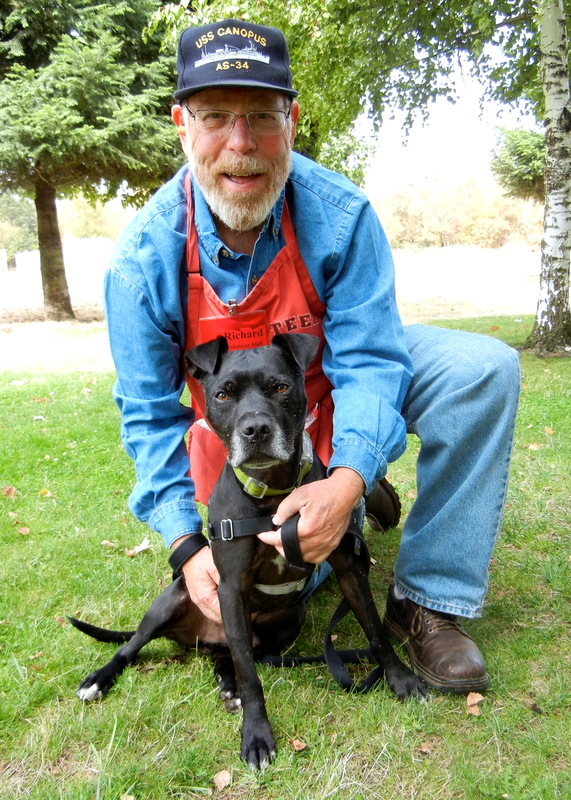 Looking for an uncomplicated, calm, devoted friend? Feisty may fill the bill. 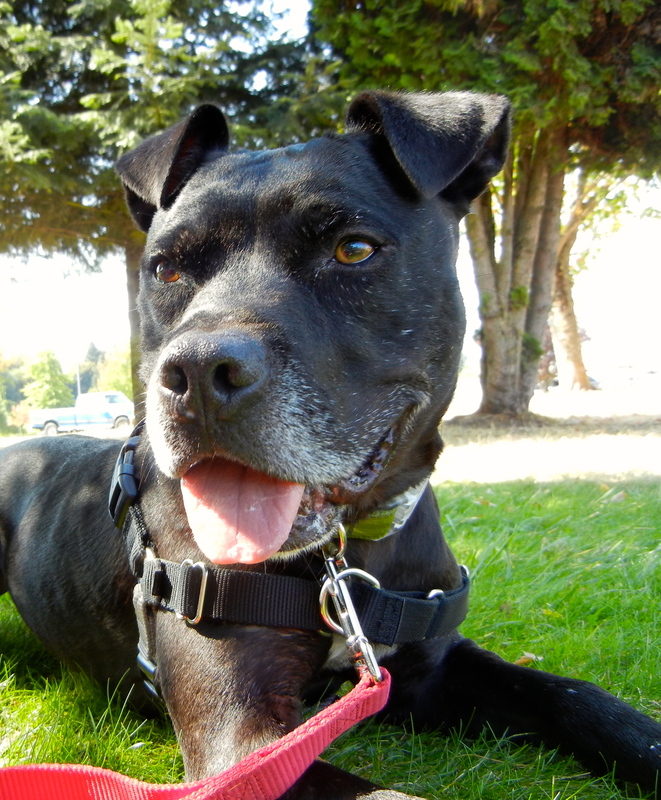 He walks well on leash, knows several commands, and is an easy- going boy. His puppy days are long past and after a short walk, he’s ready to settle down by your feet for a snooze. For a less-active family, he’ll be a perfect fit! I’m out of ISO and ready for PLAY! 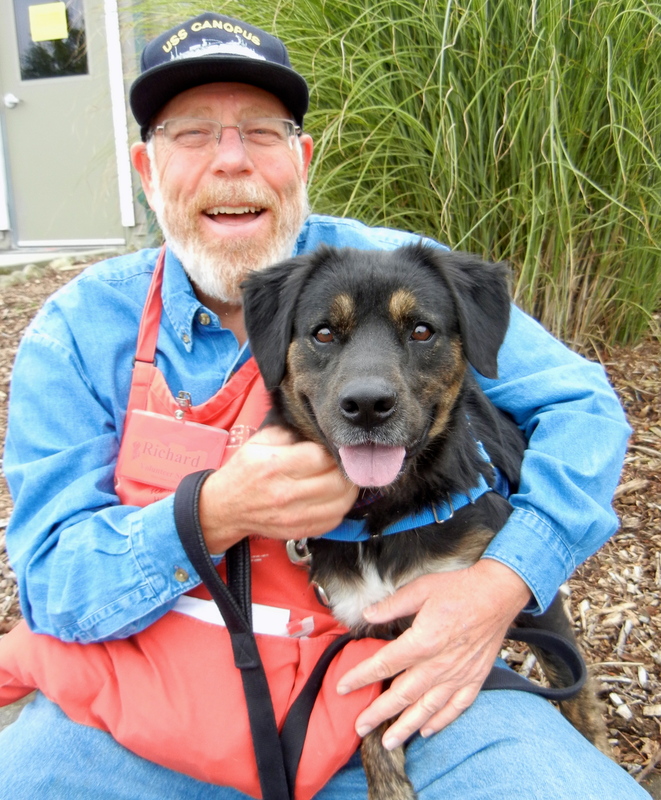 Richard took Troi, a one-year-old Rottweiler mix out for a romp and both had a great time. Troi just got over a cold, so is finally out of the ISO kennels and he couldn’t be happier about the change, as you can tell by his face. 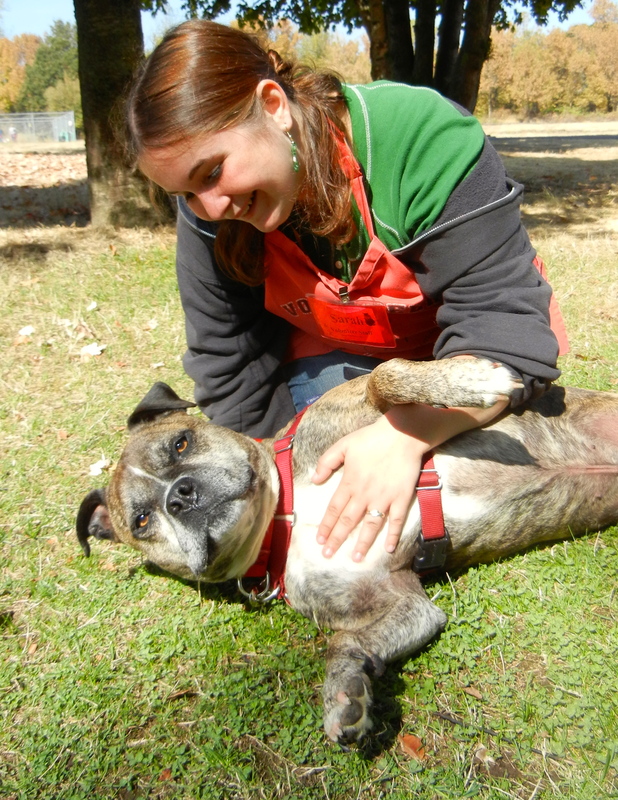 He is a playful, fun-loving, eager little guy looking for someone to have adventures with. He would do well in one of our WHS training classes, as he grows up into an adult. Poodle person? Take your pick! Are you a Poodle person? 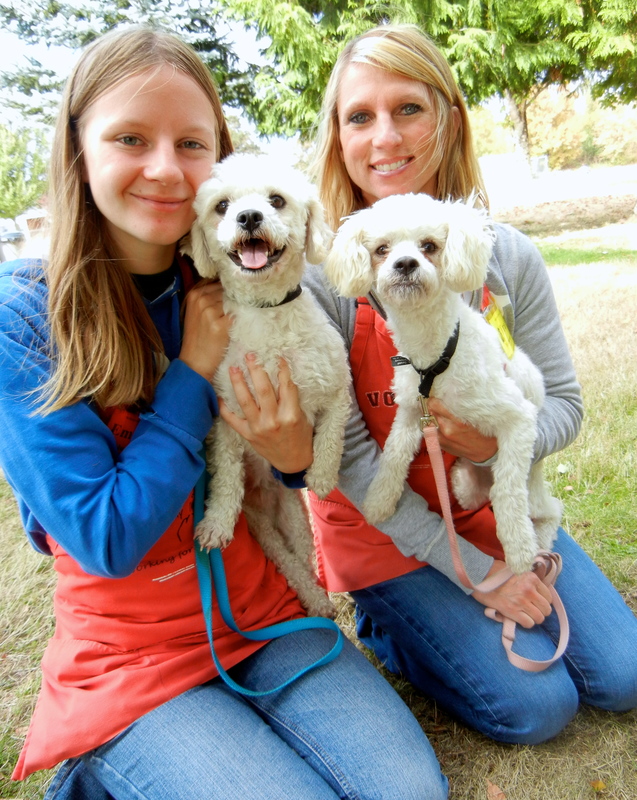 Meet Chauncey and Allegra, two Miniature Poodle mixes. 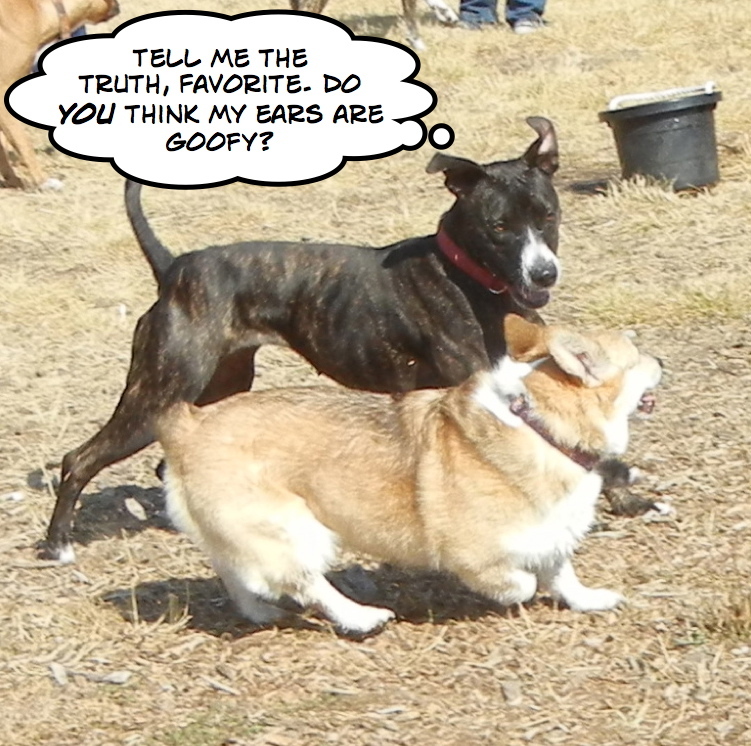 Chauncey is three and Allegra is two, and they have very different personalities. 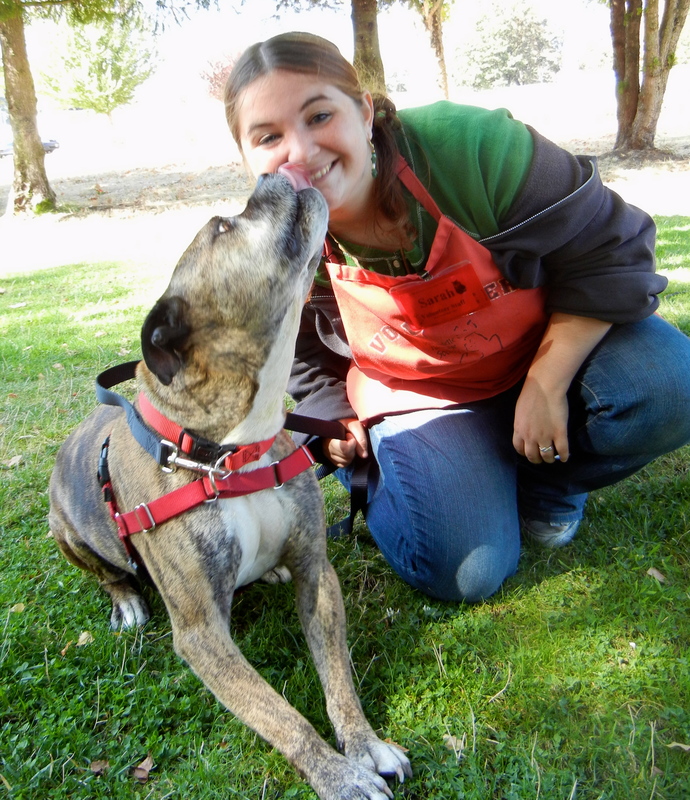 Allegra needs a quiet home with someone who likes to cuddle. She is embarrassed to say she really doesn’t know how to walk on a leash (you should have seen me trying to get her to stay still long enough to snap her profile picture!) She also doesn’t like to share her food, so needs some work on that. 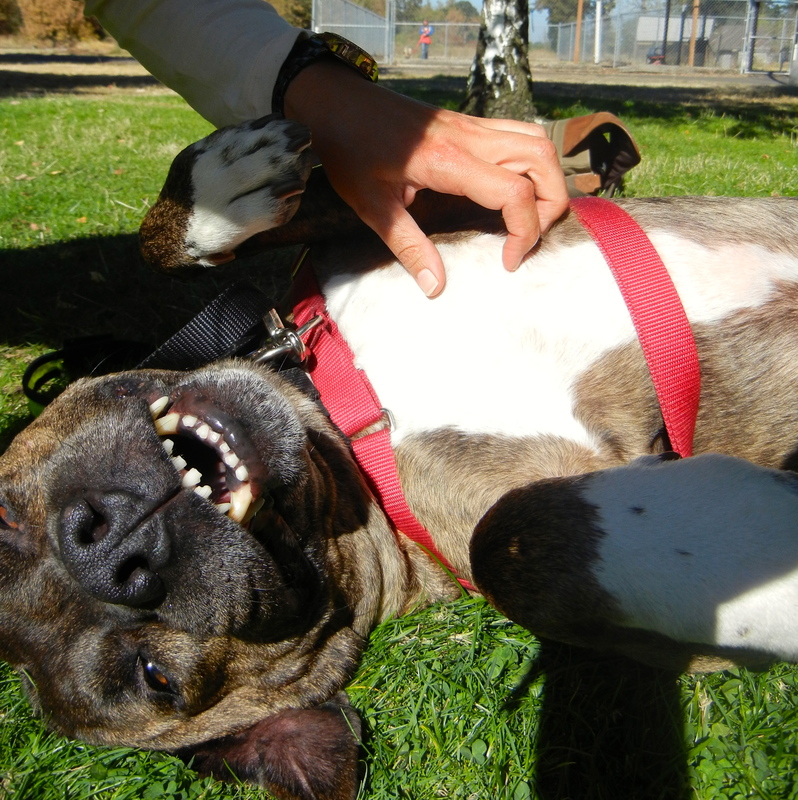 Chauncey is an outgoing, playful boy who gets along with everyone and other dogs. He posed nicely for his profile picture and loved Emelynn’s attention. He would fit well into almost any home. 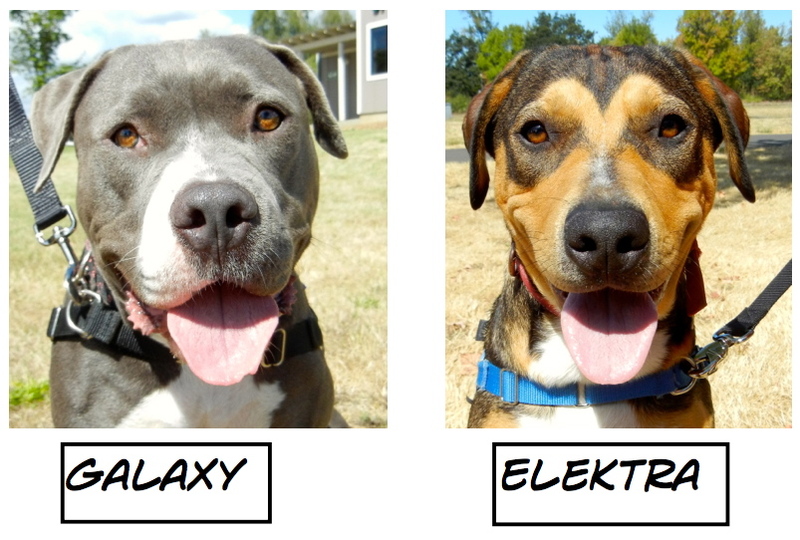 Both dogs will blossom when matched with the right families. Want some action? Pick me, pick me! 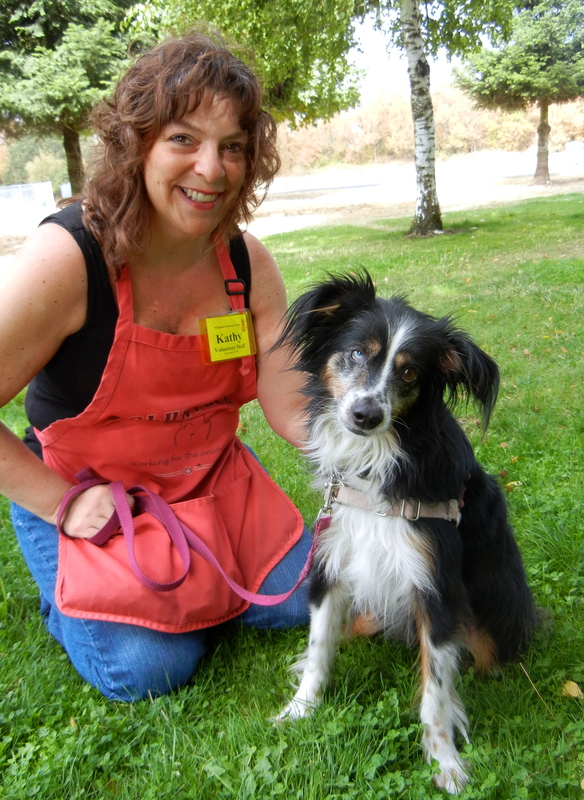 Jake is a four-year-old Australian Shepherd mix who can be quite shy at first meeting, but warms up quickly. 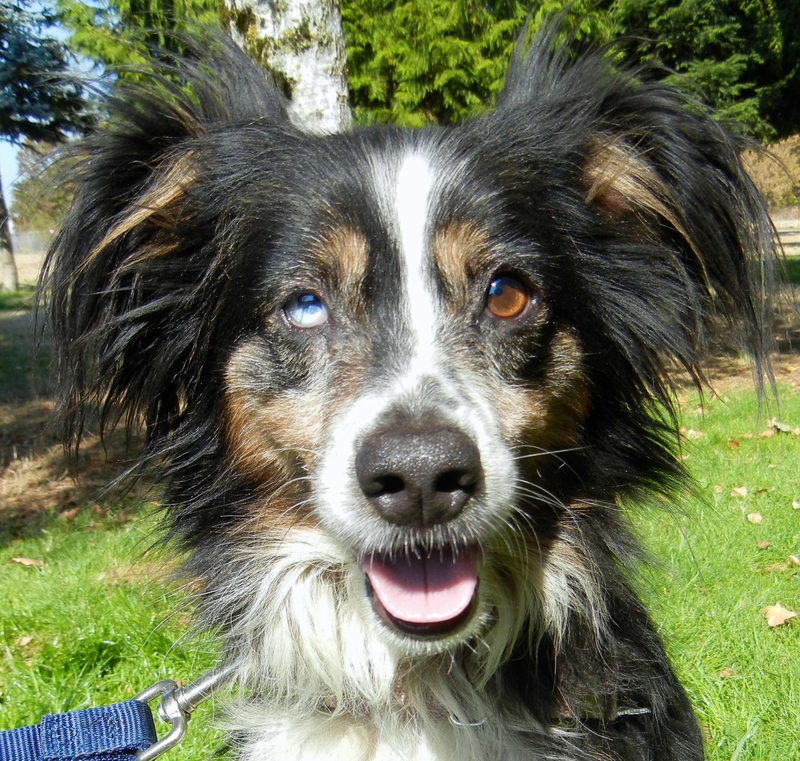 He has one blue and one brown eye which gives him an interesting face. 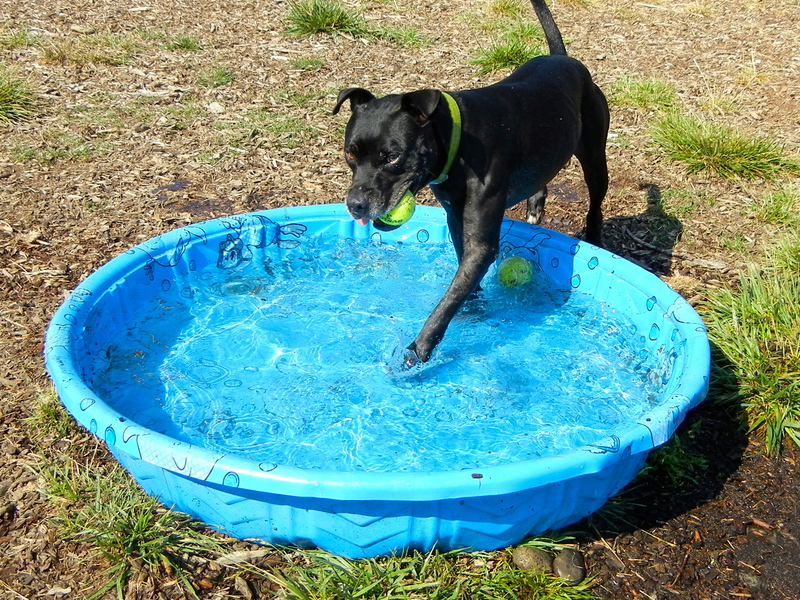 Jake should not go home with cats (he loves to chase them) and would do best as an only dog, as he can be picky about his friends. Jake loves to go for walks and to play in the yard. He would be a great candidate for WHS training classes. He is a cute little guy who thinks he’s a lot bigger than he really is! He’s hoping to find a family soon. 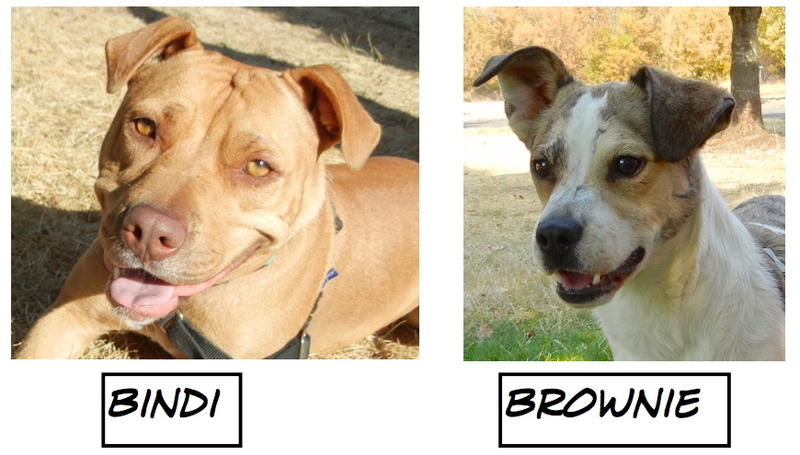 Tido here, still waiting for a new family! Richard took Tido out this afternoon. You’ll remember Tido from my last post as one of my current favorites. 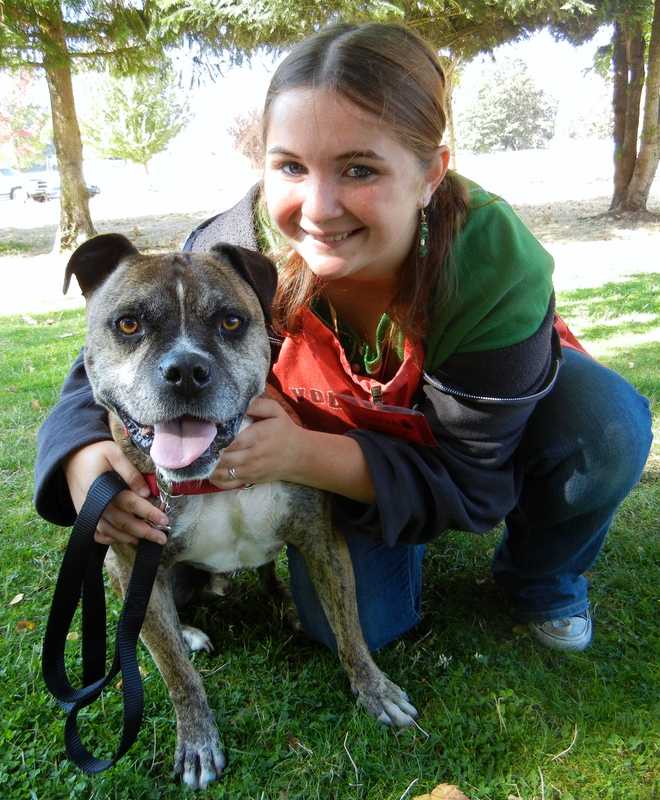 He is a seven-year-old Pit Bull Terrier mix who came to WHS from the Redmond shelter. After play group on Sunday, I spent some quality time with him in the big yard. He is such a ball dog! We played fetch for a long time. 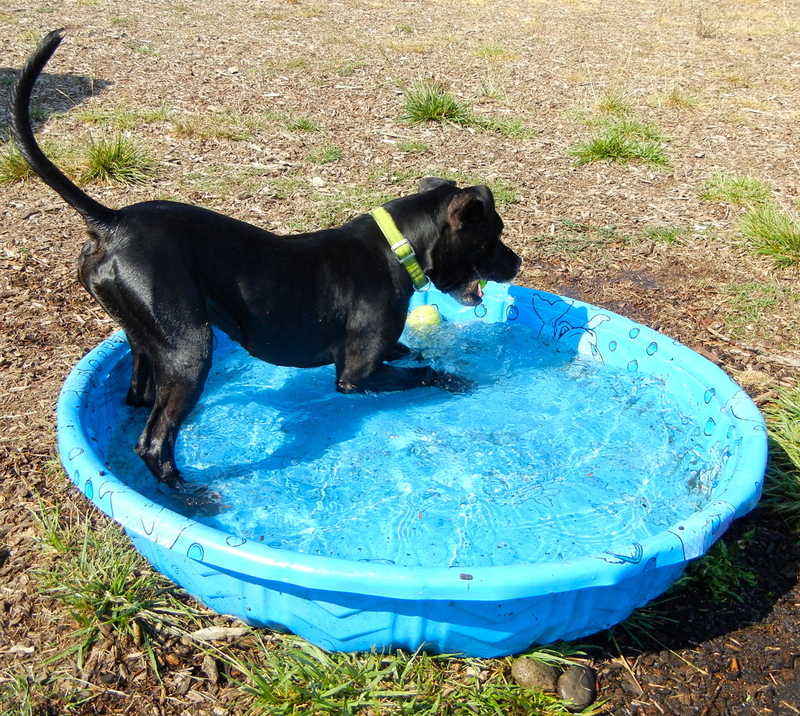 He also enjoyed the pool, jumping in and out, ball in his mouth. After I got tired (he still was ready to play longer) we hung out together under a tree. I’m back after a wonderful day with Beth! 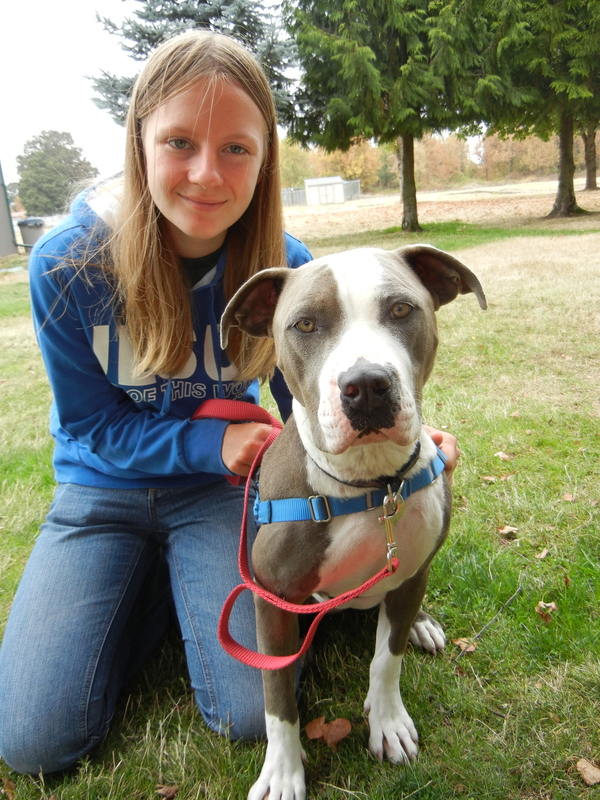 Toward the end of my shift, volunteer Beth showed up at the shelter with Maxwell after taking him out and about for the day. 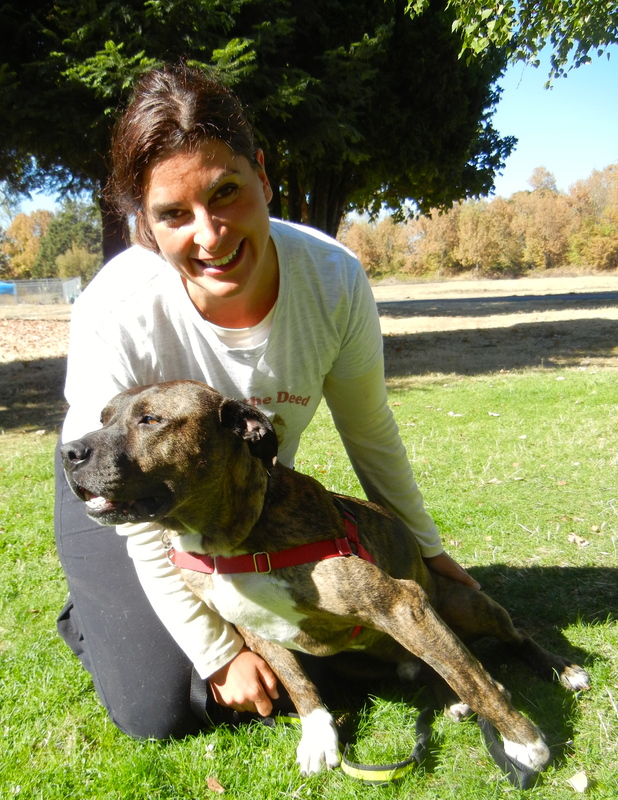 Maxwell, a five-year-old Pit Bull Terrier mix, came from the pound in Crescent City where my friends Liz and Tana loved him and wanted him to come here to find a better life in Oregon. As you can see from the picture below, Maxwell was tuckered out after such a busy day with Beth! 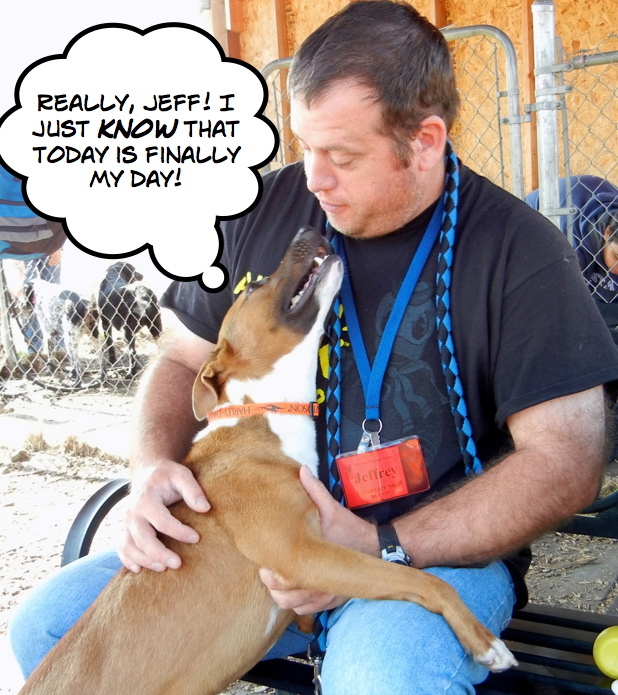 Here is Beth’s report about their day. 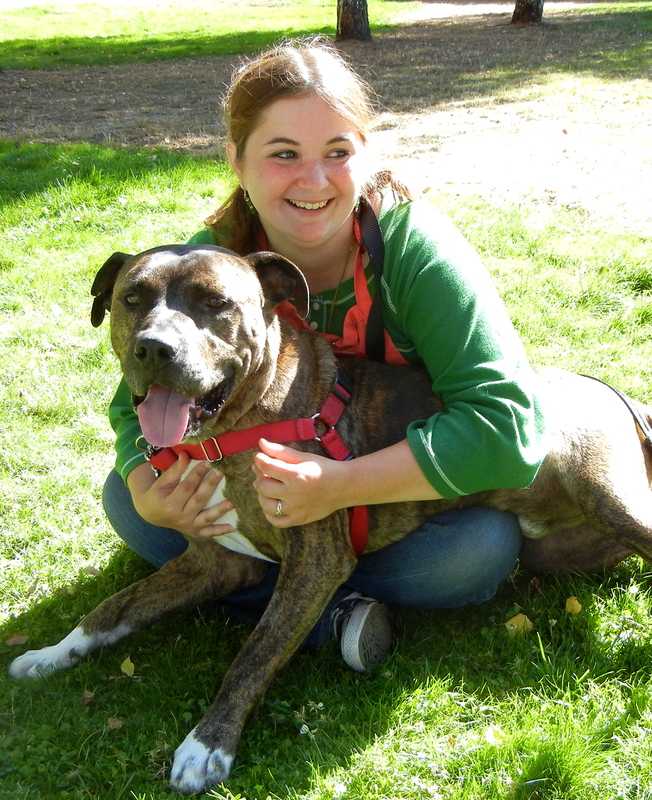 I shot a few more pictures of this big lap dog while Beth and Maxwell hung out on the lawn with Sarah and me. Maxwell loves to have is stomach scratched! I’ve been at WHS since August 8. Still waiting for a family. 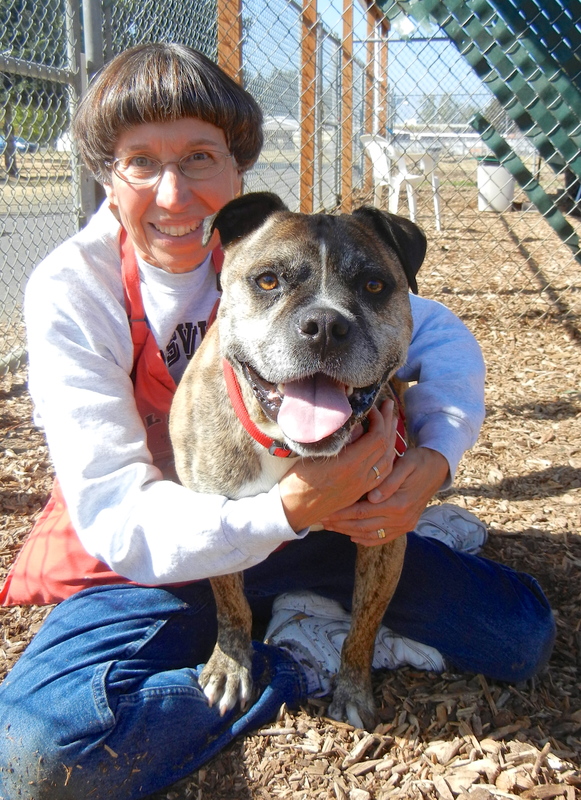 My last dog today was Spartan, an eight-year-old Pit Bull Terrier mix who has been at the shelter for a long time. He has beautiful brown eyes and a very gentle nature. 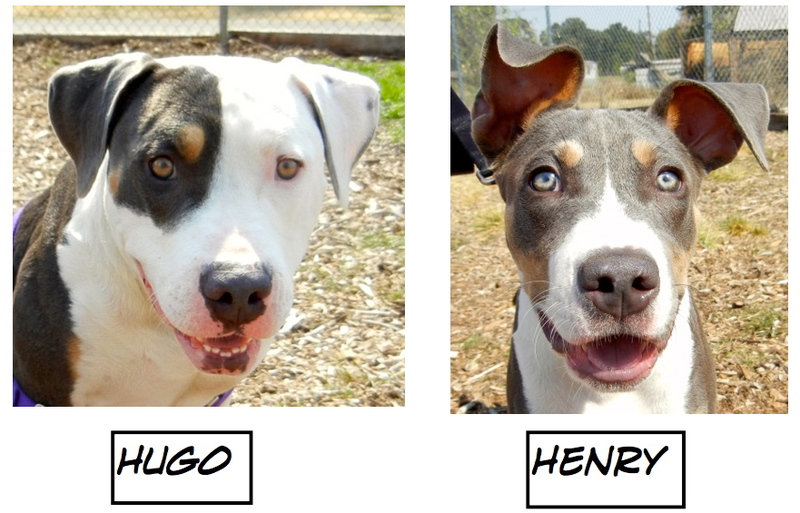 He is easy to overlook because he is quiet in his kennel and undemanding. He would fit into almost any family. Here are some pictures of him from today. 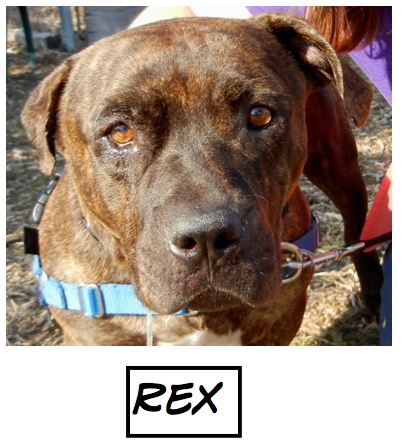 I so hope a family will discover what a gem this handsome boy is and take him home.